The Glock Entrenching Tool with pouch is a must have for any outdoor enthusiast. This innovative entrenching tool has a surface-treated blade that can be locked in three positions for multiple uses. The hardened saw located inside the handle can be quickly mounted if required. It also comes supplied with a durable nylon pouch that can be simply attached to a belt or backpack. If you have any questions about this product by Glock, contact us by completing and submitting the form below. If you are looking for a specif part number, please include it with your message. 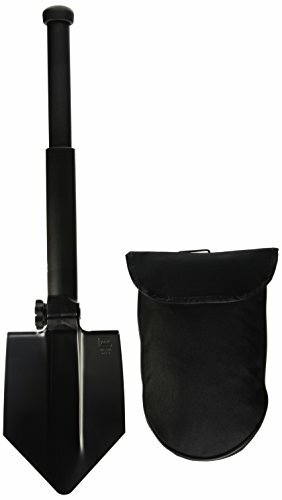 E7 Mini Shovel For Multi Use Foldable Army/Military Shovel For Gardening Camping Hiking and Emergencies. Military Pouch Included.